Moving Averages are widely used in trading - they filter out noise from random price movements and can identify high quality market entry and exit points. Moving averages are a lagging indicator as they are based on historical price action. The most commonly used moving averages are the SMA (Simple moving average) and the EMA (Exponential moving average). The EMA is more biased towards the most recent price data as it is weighted accordingly. Moving averages are commonly used to determine trend direction and to determine support and resistance levels for an asset. Shorter moving averages favour short term trading whereas longer moving averages such as the 200 day EMA favour longer term trading. The 200 period moving average is widely followed by market participants with breaks above or below it considered to be notable trading signals. 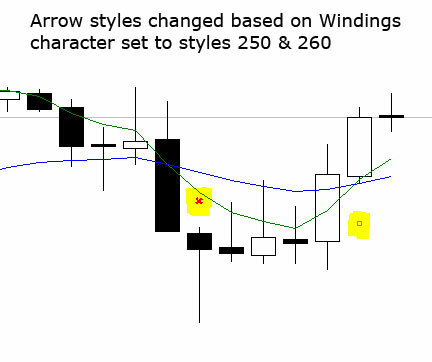 Moving averages when used together can also provide important trading signals. If two moving averages of different periods are plotted on the same chart trading signals can be generated from moving average crossovers. Typically traders will use a short term moving average and a longer term moving average. When the short term moving average crosses up over the long term moving average this is considered as a bullish signal to puy the asset under consideration. When the short term moving average crosses down below the long term moving average, this is considered as a bearish signal to sell the underlying asset. The FX AlgoTrader Advanced Moving Average Crossover Alert System is a highly configurable MT4 indicator which incorporates a fully automated alert system for monitoring two trader defined moving averages. Many traders use moving averages as a means of identifying entry and exit points for potential trades. 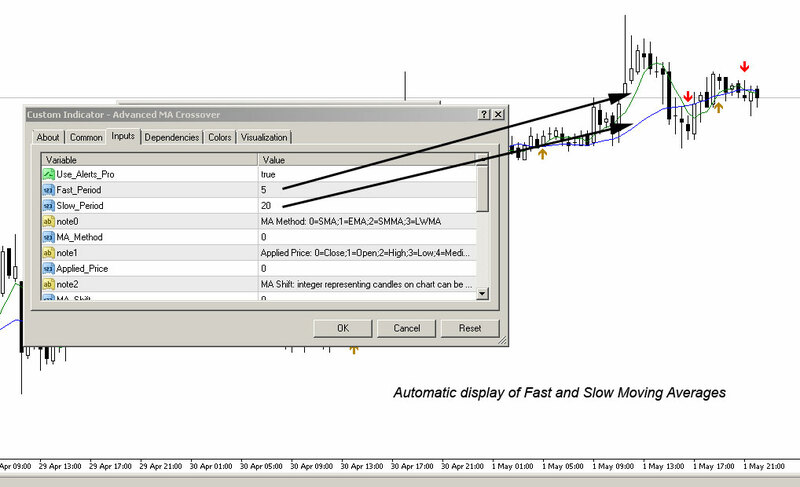 Using the The FX AlgoTrader Advanced Moving Average Alert Crossover indicator allows traders to create an automated alert system configured to their exact trading requirements. 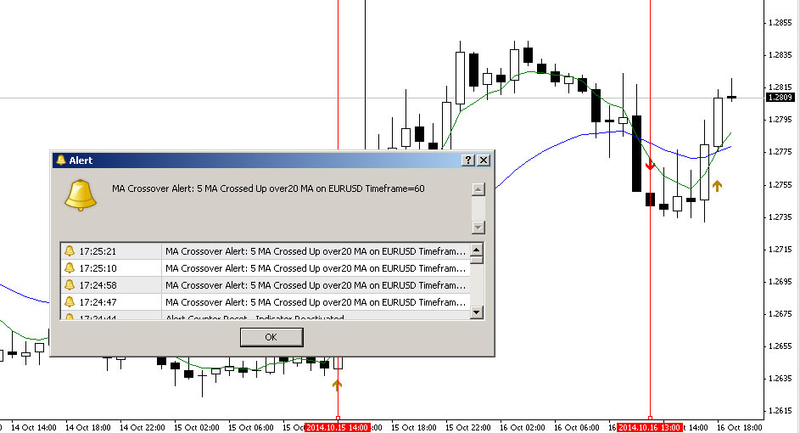 On chart crossover indicator arrows with configurable styles.